Friday 13th - early train to Bath and after lunch walk to Bath campsite via CW as far as Weston and ROW's. Saturday 14th - Bath campsite to Tormarton (14 miles), camping on lawn outside The Compass Inn or Noades House. Saturday 21st - I will say goodbye to my friends and get bus to Stratford Upon Avon and train home from there. Good luck with all this - sounds great. I've only done camping and walking once and found it OK but challenging. When walking the CW, I imagined where I'd like to camp - and the one thing I'd suggest that would be good to camp at would be on Dovers Hill above Chipping Campden (ie. about 1/2 mile before you get there). Not sure if you are allowed to camp there - but especially if the weather is OK - it'd be a spectacular place to camp and wake up at. I imagine that if you pitched late enough and left early enough, no one would even know you had been there. Good luck Calluna, hope you enjoy your mainden backpack. 16 miles a day is a decent walk with a 20 pound pack but the delight of backpacking is you have a long day to do your mileage. I love starting nice and early in the summer, its the best time of day. Also, Im sure you'll be wonderfully comfortable in the Power Lizard, I've done many weeks in mine now and it's a real home from home (very quick and easy to pitch too). I have been pitching the Lizzie in my garden to get my pitch time down, it is a cracking little tent and really looking forward to using it. I just hope my dicky shoulders do o.k. on my airbed and I can get a comfy nights sleep! Good luck Calluna, I'm sure you will enjoy the experience so long as the weather is kind to you. Your sac weight is about the same as mine on the C2C, but then I threw in a spare pair of shoes and with water and food, it was brought up to around 11.5 kg. Had a lovely walk around Slaidburn area, got back to coach before the heavy showers started Stunning scenery at a beautiful time of year. My back coped well with the load - but I have tender heels due to the extra weight. Had been suffering from Plantar Fasciitis over the Autumn/Winter but thought it had resolved itself - until I carried the 10.5kg backpack! Sunday 15th - North Nibley. Got to pub at 6.45pm to find it stopped serving food at 6.00pm. No answer from Nibley House even though we had booked, finally managed to get owners son from cottage next door. Pitch ok, toilet ok, shower room filthy - we all decided no thanks on that one! Had ordered cooked breakfast which was ok but nothing special. They didn't charge my friends a pitch fee so they put this money into the charity pot. Note - the pub just outside of Cold Ashton has closed down (think it's called the White Hart) but there is a farm tea room (Folly End Farm) about 200yds up the road in opposite direction that is very good value. Monday 16th - Ebley. Nice pitch in the garden at Croft Farm, clean toilet and pub/late shop within walking distance. Tuesday 17th - Coopers Hill. Bad day for me, was very ill with a stomach bug, up most of the night and extremely washed out and tired at start of walk today. Manged to get as far as Painswick when I started to shake and shiver, was not going to make it up Coopers Hill so I took a taxi up to top and my friends joined me later. Pitch at Haven Tea garden (closed to the public) was interesting to say the least, a very surreal night. Took paracetomol and bedded down for night hoping it was just 24hr bug. Wednesday 18th - Charlton Kings. Woke up feeling much better and absolutely starving, energy levels soon back up to norm after something to eat. Pitch at California Farm was the best of the walk. They were fantastic - let us pitch on the lawn, gave us coffee and biscuits on arrival, did a machine wash and dry of our dirty clothes, gave us a lift to pub for evening meal (we got a taxi back) and invited us to sit in the lounge for the evening. The breakfast in the morning was superb. They didn't charge us for the wash, and other bits only for the breakfast and reduced pitch rate (for my friends charity), we go back there someday with my husband for a couple of nights B&B, the house was gorgeous. Thursday 19th - Hailes. Only place to get lunch on the way today is at Cleeve Hill golf club (open to all). The nature reserve on Cleeve Common had a fantastic selection of butterflies and moths. Pitch at fruit farm was pretty good, nice shower and toilet but no pot washing facilities which I expected of a proper campsite and paying £6.00! Friday 20th - Chipping Campden. Fairly easy walking day, only really one ascent up to Broadway Tower. We had booked a B&B for tonight (Old Bakehouse) and it was my friends first night in a bed since leaving Lands End on April 19th - they had camped every night. If you like Indian food you have to go to the Maharaja - the best Indian curry I have had in many a year. Overall impressions of walk was that they had a 70 mile route and decided 100 miles would sound better - so why not take them up/down every hill in the region, that will get us to the 100 mark! The southern section has the steepest ascents/descents and usually 2-3 hills per walking day, the northern section is a bit gentler and how I imagined the whole route would be. 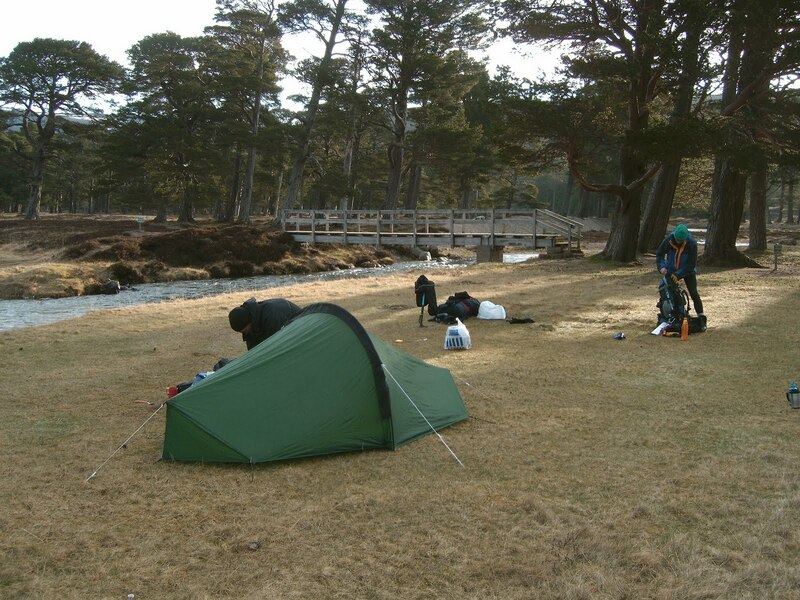 I loved my tent, my stove and pans and the Neo Air was really comfy and warm. Not very impressed with my sleeping bag. Backpack was brilliant and very happy that I did it with a 38l, found it hard going up steep bits with the extra weight -will really try to lose the equivalent of what I carried (10kg) during the summer. Well done Calluna - I stayed at California Farm and agree that they were lovely people. Also agree that Cotswolds Way is a bit in and out and up and down - but then that's because it tries to follow the escarpement and to do that it has to go in and out. I don't think the Cotswolds Way is the best walk in the country but its pleasant enough. Generated in 0.050 seconds in which 0.011 seconds were spent on a total of 14 queries. Zlib compression enabled.